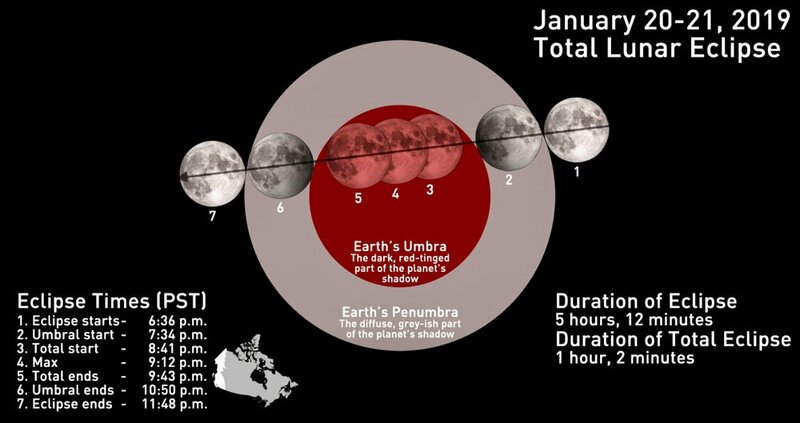 The lunar eclipse will be visible across all of North America and South America, and partially visible in Europe and Africa, on the night of Jan. 20 into the early hours of Jan. 21. The best viewing conditions are expected across a the central and southwestern U.S where it will be mainly cloud-free. “This lunar eclipse should be a prime candidate for some great photography, since we are in the dead of winter with temperatures really low. This means clearer shots due to less radiate atmosphere and clearer skies. Shooting a blood moon can be a real challenging event. When the moon turns that bright coppery or red color getting a proper exposure can be a little tricky. Here are some basic tips for shooting a lunar eclipse. Try and find a area away from light polluted areas such as large cities. the darkest skies will produce the cleanest shots. I use ClearDarkSky,com for scouting locations. If you live on the west coast of the United States, you’ll have a full view of the event, so finding a good location should be easy. This goes without saying, but shooting at night will require a good sturdy tripod. Long lens and slow shutter speeds all dictate the need for a good sturdy tripod. Tripod tip: weigh your tripod down with a backpack or heavy bag. Most tripods have a small hook on the center shaft to hang a bag from. A good travel tripod for the money is the MeFoto RoadTrip! I can’t stress this enough, if you want sharp shots, use a cable release. If you don’t own a cable release, set your cameras self timer to a 10 second delay.. Turn off your cameras autofocus, and prefocus on infinity. Autofocus is not reliable at night. You can prefocus on the full moon before the eclipse, then switch to manual focus thus, locking focus at infinity,I recommend manual focus using live view. Locking up the mirror will great improve your chances of getting a tack sharp image. You would surprised how much vibration a mirror operation can have on your image. You’ll really be surprised on how fast the moon moves in the sky.. Your shooting with a long lens and you will need at least 1/50th of a second for a clean shot. Realistically, I like to shoot around 1/250 of a second for a nice tack sharp image. Adjust you ISO to obtain faster shutter speeds. That turns us to the final question, exposure settings. Now there is just no hard and fast rule for lunar eclipses, Each lunar event differs greatly, I can only give you a starting point. Take a couple of test shots and adjust from there. Remember, the total eclipse will last almost a hour, so you’ll have time to adjust, don’t rush.. And most of all, have fun! Photo Pills to plan your shot.